You see, at Hayes CDJR Lawrenceville we want you back each and every time you’re in the market for a new car or truck. And that takes outstanding service for the life of your purchase. We can’t expect you back next time unless you’re happy this time. So, we’re not satisfied until you are! We take great pride in the number of second and third generation customers we serve. At Hayes CDJR Lawrenceville, it’s more than a sale, it’s a long-term relationship. Being a “Five Star” Dealership means a lot to us. But what exactly does it mean for you? Simply put, it guarantees the entire Hayes experience will not only meet, but exceed, your expectations. You have our promise on that! And once again, welcome to the family. For years, Hayes CDJR Lawrenceville has been the premier retailer of new and used Chrysler, Dodge, Jeep and RAM vehicles for the Lawrenceville, GA area. Our dedicated sales staff, knowledgeable finance associates, and expertly trained technicians are all here to make your experience fun, easy and hassle-free! 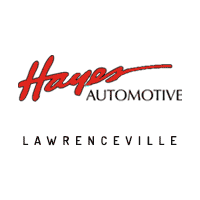 We also carry an inventory of OEM auto parts, so anything automotive you need is here at Hayes CDJR Lawrenceville. Call us today at 470-264-5440470-264-5440 to find out how we can help you! Hayes CDJR Lawrenceville offers many automotive products and services to its Alpharetta, Stone Mountain, Norcross, Buford, Athens, Dacula and Winder, Georgia area customers. From quality new Chrysler, Jeep, Dodge, and RAM vehicles to used cars in Lawrenceville, we know anyone looking for a vehicle in the Lawrenceville, Stone Mountain, Norcross, Buford and Winder area will likely find what they want at our dealership. We carry a comprehensive line of new Chrysler, Jeep, Dodge, and RAM cars in Lawrenceville, including the new RAM 1500, Durango, Challenger, Charger, 200, Town & Country, Patriot and Wrangler making us a good choice as your greater Lawrenceville Chrysler, Jeep, Dodge and RAM car dealer. Our services include trusted Chrysler, Jeep, Dodge and RAM car repair in Lawrenceville, original Chrysler, Jeep, Dodge, and RAM car parts, and new and used car financing to help our customers purchase the car of their dreams. Call Hayes CDJR Lawrenceville at 470-264-5440470-264-5440, or come visit us in person. We’re conveniently located at 719 Duluth Hwy, Lawrenceville, GA 30045 and look forward to helping you with your automotive needs.